Recent water quality monitoring of Heʻeia Stream in Kaneʻohe, Oʻahu, has shown high levels of nitrates and nitrites (possibly from fertilizer and pesticide overuse, and high turbidity due to stream bank erosion and nonnative vegetation). 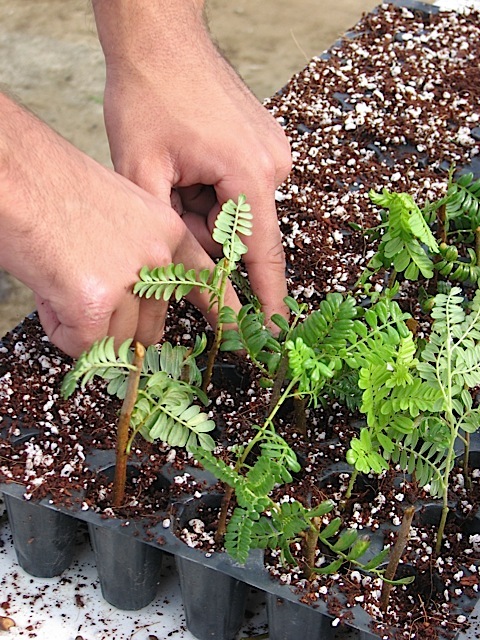 The Heʻeia Stream Restoration Project of Hui o Koʻolaupoko addresses these issues by restoring sections of the stream banks and nearby forest with native vegetation, installing erosion control material, and holding workshops to educate area residents about proper fertilizer/pesticide use and useful native plants. Volunteers play a vital role in this project. 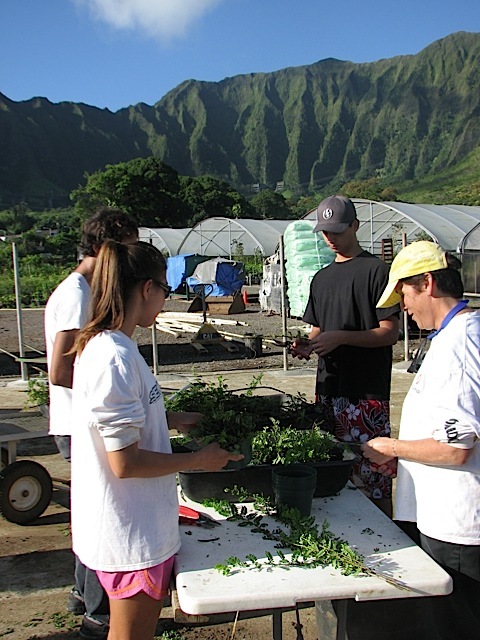 In this early stage, workdays focus on native Hawaiian plant identification and propagation, plus clearing invasive plants along the stream. Upon completion of the project, approximately 2,000 feet of stream bank and surrounding forest will have been restored! The area will be used by the community and school groups for environmental education. For more information, visit www.huihawaii.org or call Community Coordinator Kristen Nalani Mailheau at (808) 381-7202.